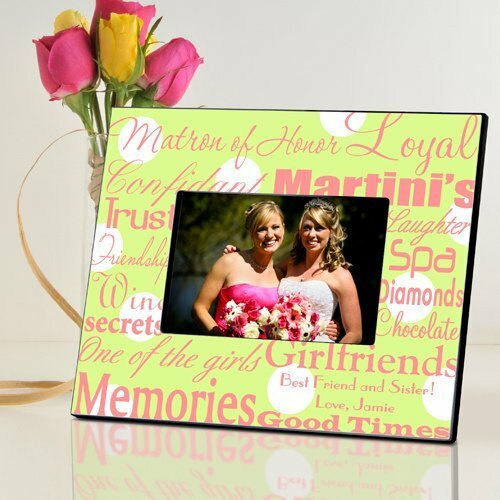 When you can't find the words to express your feelings, this personalized Matron of Honor frame will say it all! 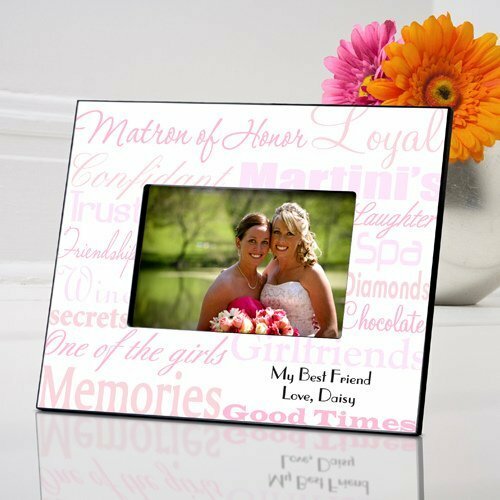 The two of you have been friends for years, and this frame helps to commemorate all the good times. 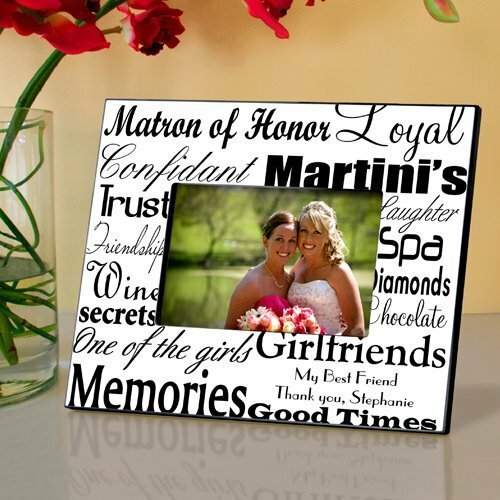 With room for a 4" by 6" photo, the frame itself measures 8" by 10" and contains a number of captions that describe your Matron of Honor. 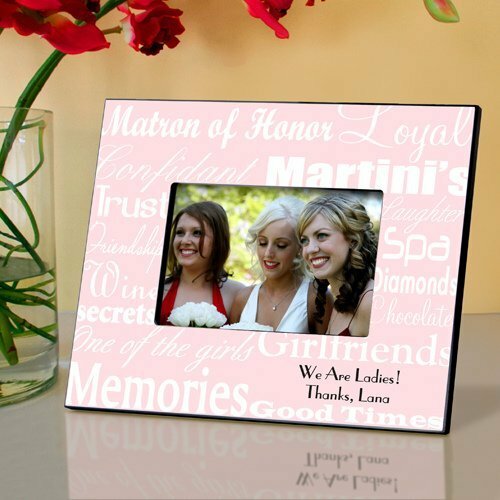 The lower right corner can even be personalized with a favorite saying, or your names and wedding date (2 lines of up to 20 characters per line). 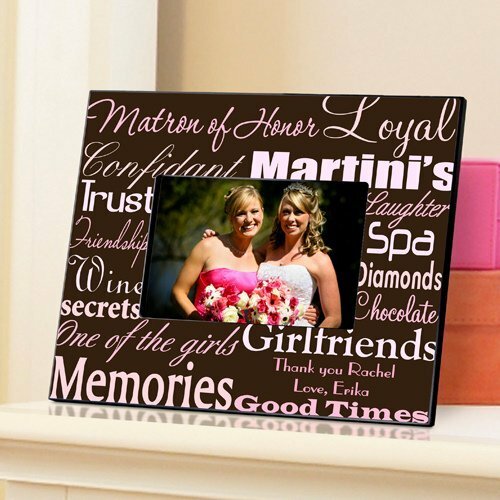 Choose from one of 7 color options that can be seen by choosing Item Options link.